Dr. Lyons Blog-Check back often! If you have questions....We have answers! Call for a complimentary telephone consultation today! No pressure, just information to help you in the process of decision making. Get honest answers from professionals ​that are here to assist you. I have acquired a new device that has been used in Europe, Canada, and South America for over 6 years with raving success. 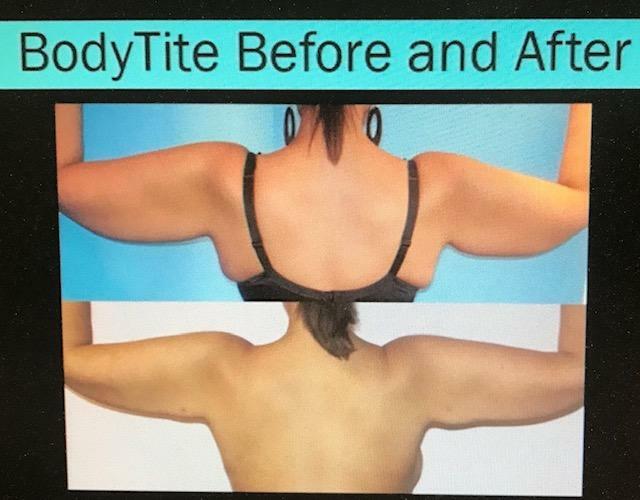 The Facetite and Bodytite Radiofrequency assisted liposuction device has been used in the US now for over a year and has gained a great deal of notoriety for its ability to not only tighten skin, but also lift it as well. It is an improved version of previous attempts at using radiofrequency with a safety shutoff system and bipolar thermal indicator to help the physician determine the exact amount of heat needed to perform not only fat reduction but also skin tightening. 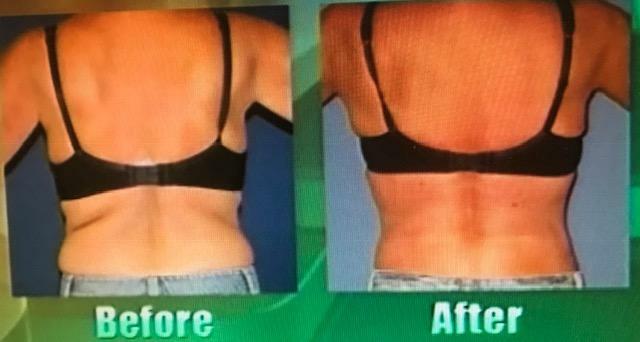 It works in conjunction with liposuction on the face, neck, body, and extremities. The upgraded device I have is also designed to perform blepharoplasty (eyelid lifts) procedures as well. This remarkable device yields significant contraction on the face and neck that is comparable to an excisional facelift procedure with only the need for a weekend to recover from a few puncture sites in the periphery of the face. Patients experience less bruising, less bleeding, less swelling, and less pain and discomfort. This procedure can be combined with a Fractional CO2 Laser resurfacing to enhance the superficial skin's texture, smoothness, and pigment. 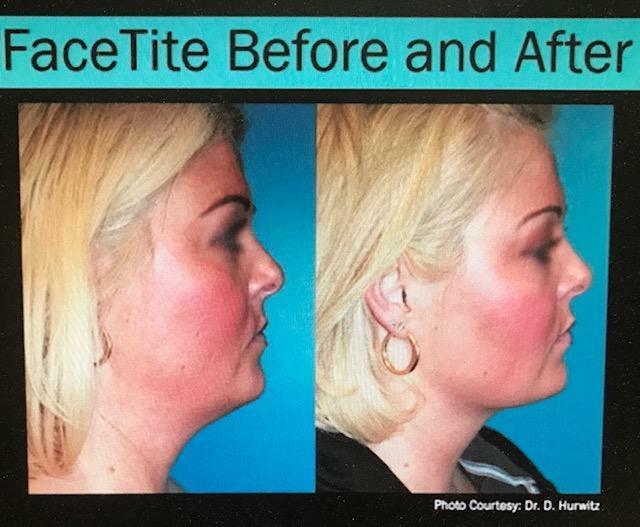 The Facetite procedure uses a radiofrequency probe to coagulate the subdermal fat and deep dermal collagen to achieve lifting and tightening. The CO2 Fractional Laser uses photonic energy to help reduce superficial wrinkles and build collagen in the superficial layer. The procedure can be performed under mild sedation with local anaesthesia on a Thursday and return to work with makeup on Tuesday. This is all performed as an outpatient. Stretch marks or "striae" are a result from rapid expansion of the skin either during rapid weight gain and growth seen in adolescence or in pregnancy. The problem is that the dermis (the second layer of the skin) that is full of collagen is stretched or thinned out. Topical moisturizers and skin exfoliants have been used to limited success due to the depth of this deficiency. A combination of treatments that has improved the appearance of these stretch marks is the use of a skin tightening laser in the one thousand to three thousand nanometer wavelength. I personally like the ERBIUM fractional laser for added depth of tightening as well as remodeling of the skin afforded by this device. Subcisioning the tissues helps reduce the "valley" in the middle of the stretch mark. Adding fat transfer or long lasting fillers to the tissues may also improve the appearance. If the patient is also planning to have a liposuction procedure, adding the Smart Lipo Laser treatment to the areas has also improved their appearance. This laser not only gives the patient spot fat reduction, but also adds subdermal skin tightening. This effectively narrows the stretch mark and reduces the "valley" in the middle. Let us know by calling 251 344-0044 if you have more questions. Have you heard of REJUVA LIFT? There's a new thread in town that's rejuvenating your skin while lifting and building collagen. The new PDO threads are improved and Dr. Lyons is really liking the results. Read what he has to say below. A new PDO thread has been released that incorporates the ease of insertion found with a cannula thread along with a stronger bond appreciated due to the "quills" position and direction. The Koreans continue to improve on the PDO (polydiaxanone) sutures by modifying the configuration of the tiny barbs that help hold them in place. The barbs are now arranged in a spiral configuration that adhere to the deep skin when twisted, prior to pulling the deep tissues posteriorly and superiorly (back and up) from the midline of the face to reverse the appearance of the aging face. These PDO threads adhere more securely and offer the same collagen stimulating properties as they dissolve. As the suture is held into place for the first 6 months as the body breaks it down, the surrounding tissues are being invigorated to produce more collagen thereby thickening the collagen layer of the skin and rejuvenating it at the same time. This new collagen lasts over 18 months, giving the procedure about a two year longevity. The skin takes on a new LUSTER and smoothness along with a more youthful position. This procedure is performed in the office in under an hour with the patient able to drive home. Combining the PDO thread lift with Bellafill (a new 5 year filler), a patient can have their temples, tear trough, and lateral cheek area rejuvenated (with the Bellafill), followed by reducing the jowls and streamlining the jawline and upper neck using the PDO threads. Brow lifting with Bellafill using a micro-cannula has proven to be a 5 year alternative to the endoscopic browlift. 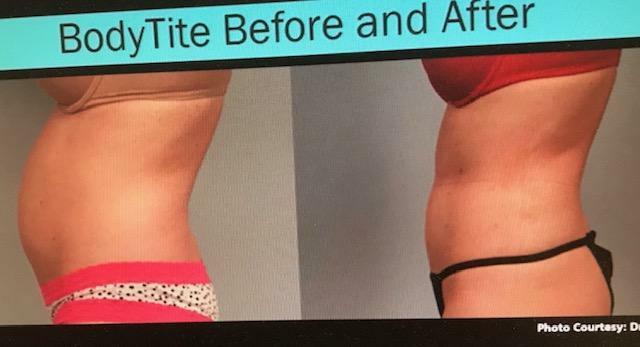 Bellafill can be used in the face, the hands, and the gluteal (Buttocks) area for rejuvenation of these tissues. It is a very versatile filler. We welcome you to our practice: You have alll you need to be successful. So Listen to your heart and do not follow the herd. Remember to live from your strength, not your fears. These wise word are so profound to me that I reflected on how patients new to the practice must feel the first time they come to see us. People can be fearful of meeting new people, how they will be treated, will the Dr. and staff listen to their concerns, how much the procedure will cost, will it hurt, and will it work for me, etc. I encourage you to not let your fear overcome you but let your desire for enhancement excite you. I am grateful to report that we have a dedicated staff that is truly caring, encouraging and supportive. We listen to your concerns, make recommendations and walk you through the process. Your consultation is all about YOU! How we can support you with knowledge about procedures, the cost, the process and intended reults. Call our Patient Coordinator (251) 344-0044 for a complimentary telephone consultation today. Please keep in mind that when you look your best, you often feel your best, so enjoy Life's journey! For a limited time we are offering buy 3 BELLAFILL syringes and receive 1 complimentary. This special is offered by the company and may end at any time. Don't miss this special on a 5 year filler. Buy 3 for $2550.00 and receive the 4th one complimentary saving $1450.00! Limited Time! 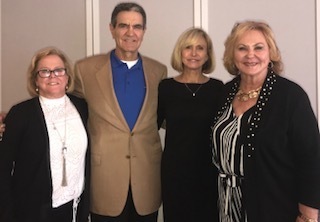 Having just returned from Suneva's Summit for Success in Dallas, my staff and I were impressed by the company's presentations of their three year old product called Bellafill. The advanced training we received will benefit our patients by reversing some of the structural volume loss seen in the Aging Face. I personally underwent some injections of the filler (Bellafill) over 1.5 years ago. I have to share with you that I not only saw structural lifting and revolumization in my cheeks, tear trough, and parentheses lines; but I also witnessed first hand the improvement of my facial skin. Bellafill works initially as a filler with 3 components: lidocaine, bovine collagen, and pmma. These products have been used in medicine for over 30 years and are safe and effective. 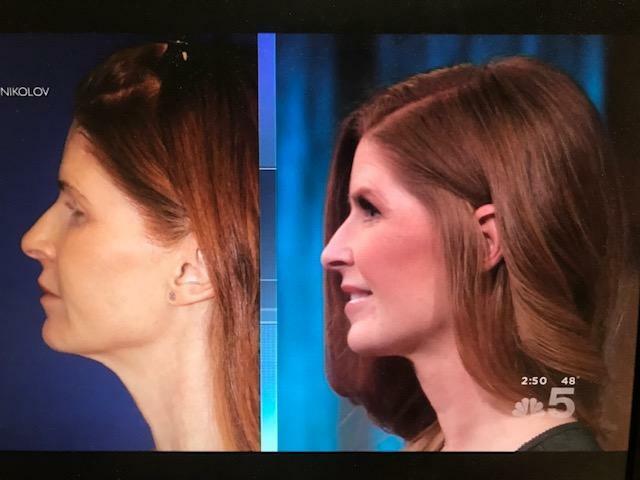 The exciting part of this filler's story is that it lasts over 5 years in patient studies while gaining FDA approval. It accomplishes this by becoming a bio-stimulator of your own collagen. First the product is injected into the body followed by a gradual (6 month) absorption of the Bovine collagen. The body then becomes stimulated to produce its own collagen with the presence of pmma microspheres. Bellafill improved my facial skin tone, texture, and increased the volume in my mid face. this filler is best inserted into the deep skin layers with the use of an atraumatic micro-cannula to reduce bruising even further. The properties of Bellafill allow it to lift the cheeks, fill the temples, and reduce the jowls for over 5 years. Bellafill can also be used to lift the brows, the nose, and the parentheses lines. When Bellafill is injected under the nose it helps lift the nose, but it also helps to shorten the appearance of the upper lip. It has changed the lives of patients that have acne scars, revolumizing their depressed scars as well as smoothing out their skin. Other options for the filler include enhancing the jawline, improving the angle of the mandbile, augmenting chin projecion, and flattening the glabellar furrrows. Some physicians have used it successfully in the hands, knees, elbows, and the decollete'( chest). I personally like how it looks, soft, natural and more youthful in my face. Pat, my Office manager, has experienced the same and tells me "I want more." As we all age, it is important to replace the lost volume and this is an easy way without any downtime. Please call Pat at the office (251) 344-0044 to see if you would be a candidate to benefit from a non-surgical treatment to reverse the sinking and sagging of the aging face. We are offering great specials for a limited time. Call for details.